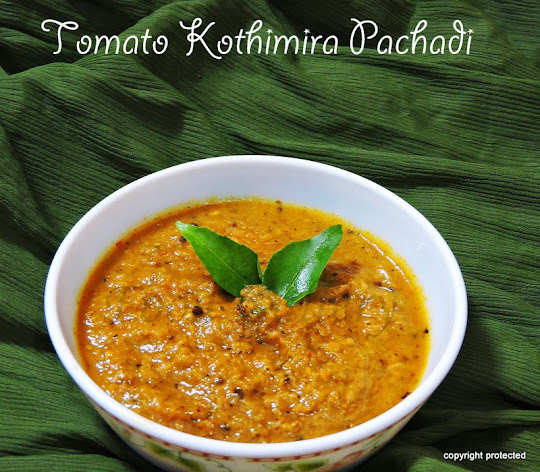 Andhra is very well known for its Pachadis, podis and pickles, which are part of their everyday meal. I am presenting here one of their popular pachadis - Vankaya Pachadi or brinjal chutney. It is quite easy to prepare and takes very less time. This side dish can be taken with rice, roti and even dosa and idli too. I prefer it with hot rice and ghee, tastes awesome. Heat about 2 tbsp of oil in kadai and fry the red chillies first for 2 minutes and remove. Then add brinjal pieces and fry them in medium flame till they are golden brown in color. Remove and keep aside. Grind all these together - Fried brinjal pieces, red chillies, coriander powder, tamarind, salt. Heat the remaining oil in the kadai and add mustard seeds. Once they start crackling, add the finely cut onions and fry them till they turn translucent. Add the ground paste and mix well and let it cook for about 2 minutes and remove. Vankaya pachadi is ready to serve. Tastes awesome with hot rice, rotis, dosa and idlis. Shelf life of this vankaya pachadi is about 3-4 days. lovely chutney. do visit my space too. i dont make it often as i like brinjal only in curries.. nice presentation dear..
Never heard of 'Vankaya pachadi'. I like this recipe, will try soon. I haven't tried this.. But looks delicious and inviting! 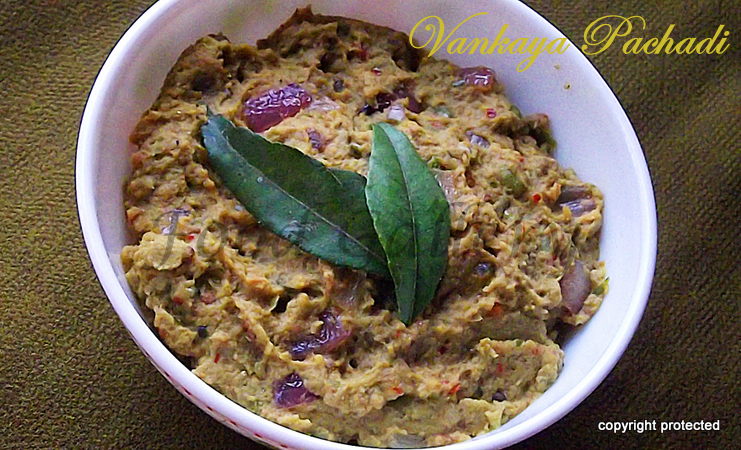 Brinjal chutney looks delicious! !Do visit my blog at -http://www.rita-bose-cooking.com. I am your new follower on google friend connect. Looks like Indian Baba Ganoush. Will sure try it.